What Will Training Departments be doing in 2020? Before recent times, the L&D/training department simply didn’t exist in organizations. Most people learned their jobs by apprenticing or by growing up to learn a trade from their family. After the industrial revolution, things changed. We needed large amounts of people doing the same thing the same way. Classrooms (which were the used for educating children) were recreated in factories, with the classroom subjects being how to do the tasks required in the factory. Now you know how classroom L&D/training got started. L&D/training as we know it began to be formalized around the World War II as military organizations formalized instruction to train millions of soldiers. In many ways, we are still using training methods formulated during this time. In the last 10 years, various forms of technology have begun to be used more and more heavily, with the goal of increasing access and reducing cost (some would say these goals have not been met). The term e-learning (with various spellings) caught on and over time has become a popular method for delivering training. Lately there’s been an increasing emphasis on social/informal learning and for good reason. Researchers who study informal learning place it at more than 50% to 80% of all workplace learning. Training rated very low but collaborative working and self-study rated high. Any surprises? If people learn primarily social/informally, certainly the role of the training department needs to change. In fact, numerous folks say it has already changed and most L&D/training departments simply haven’t bothered to notice, which may be why they have so little influence and poor outcomes. eLearning development firm Epic asks, “As social learning grows does the requirement for traditional L&D/training departments shrink?” in its fourth E-learning Debate. 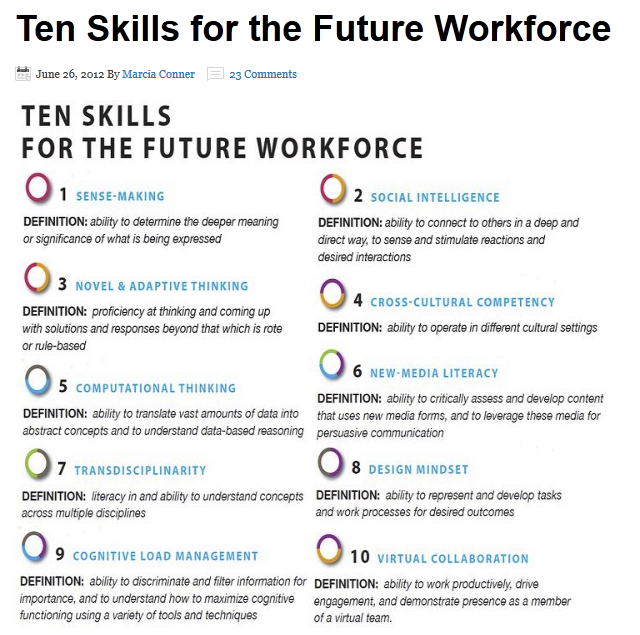 Marcia Conner lists the Ten Skills for the Future Workforce from Skills Needed by 2020. How do we teach these skills? And more to the point, do most training practitioners even have these skills? Come to this Chat2lrn to discuss what the training department of 2020 might look like! 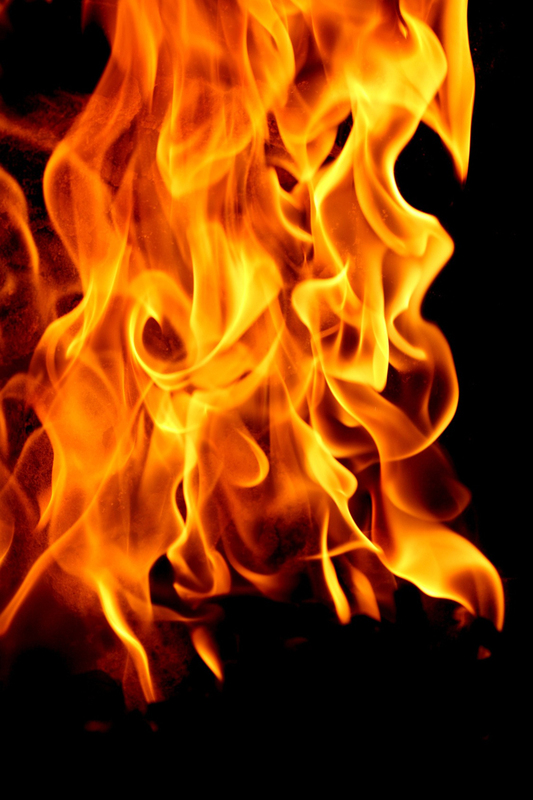 We are delighted to welcome Tom Spiglanin as our guest blogger this week who is sparking this week’s discussion about On-Fire Learning. In short, the on-fire learner never misses an opportunity to learn something, and that learning is often serendipitous. 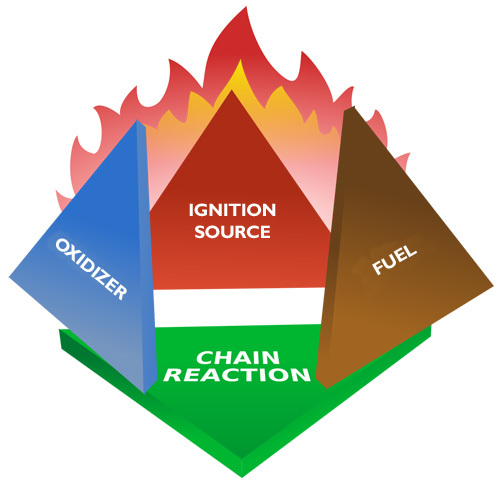 When the new knowledge is merged with the existing, new ideas are synthesized, and ideas are the fuel of innovation. From birth, we’re always learning. Some of this is “pre-wired,” such as learning to crawl, stand, walk, talk, run, and more. Much learning is experiential, between the individual and the environment: I burn my hand on the hot pan and learn to sense heat before touching it the next time. Early learning is also social. Rules are learned from authorities, and many of those rules are broken with other children. Children are so marvelously inquisitive. Somewhere along the way, most people lose that natural inquisitiveness. They go to schools where rules are expected to be followed. Learning becomes formal and standardized. As they age, play becomes less free-form and more organized. After school-age ends, many head to universities to pursue more formal education. People become employed and are subjected to new rules and expectations. Outside work, they take on financial responsibilities that make successful employment that much more important. The life of Peter Pan, never growing up, looks more and more attractive. Many organizations followed the university model of instruction when it came to developing employees, placing sage on stage and asking him or her to share what they know in classrooms. New technologies later enabled students and instructors to be distributed around the world, and elearning offered an alternative delivery mechanism. All the while, the underlying approach to education in the workplace remained largely unchanged. Online social media are now causing organizations to look differently at workplace learning. These media offer new ways of connecting employees with experts and information within the workplace, and the traditional approach of sage on stage no longer fits. While I see these developments as significant steps in a positive direction, they still meet only a small fraction of an individual’s performance and development needs. Research studies suggest, “that informal learning accounts for between 70 and 95% of workplace learning” (Jarche, Informal rule of thumb). 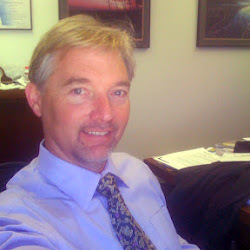 Because creativity and innovation are a natural result of an on-fire learning style, and because online social media now connect individuals to others and information in ways never before possible (more fuel for the fire), organizations today need to find ways to develop (or foster) self-directed, on-fire learners in the workplace. Adapted by Tom Spiglanin from Wikimedia commons artwork by user Gustavb and released to the public domain. Individuals need to be empowered to develop knowledge networks and filter knowledge they gain from them for the benefit of their workplace. At the same time these organizations struggle with concerns about exposing intellectual property or proprietary information, so they create policies to protect against that but may also inhibit or stifle on-fire learning. stimulating and encouraging employees to proactively use knowledge networks to benefit their performance in the workplace. As learning & development professionals, we can lead the charge toward this rekindling, by becoming the change we want to see and igniting and supporting change in those around us. We are in a unique position to influence the organization through our work and connections to the disparate functions of the business. We should take advantage of that wherever possible to encourage and support our organizations to reap the benefits from what we know and continue to learn. Please join us on Thursday 19 July at 16.00 BST/11.00EDT/08.00PDT to discuss becoming and encouraging on-fire learning in our organizations. How could a typical entrepreneur be defined? Resourceful, explorative, curious, creative, risk-taker, questioning, an opportunity seeker? 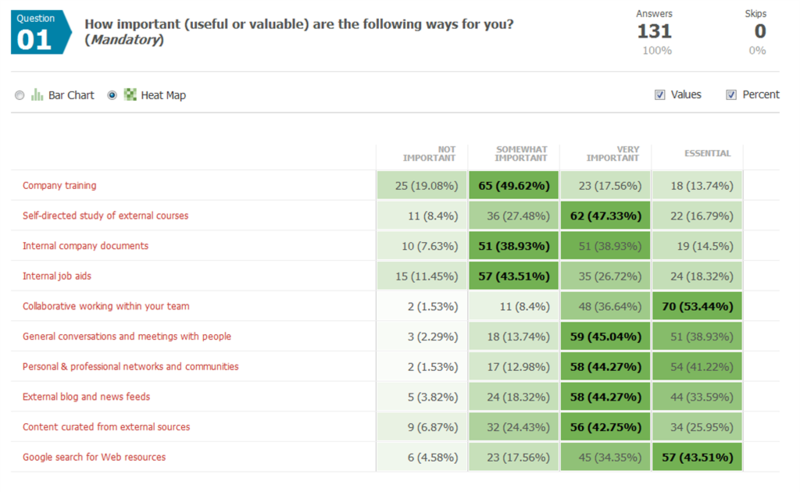 Whether or not you agree with this list, the fact is that people who do demonstrate these values should be equally as valuable in an established enterprise as a small start-up. Why is it then that corporations struggle so much with holding on to, valuing and benefiting from the entrepreneurial employee (also known as the interapreneur). Coined by Gifford Pinchot in 1978 an intrapreneur is “a person within a large corporation who takes direct responsibility for turning an idea into a profitable finished product through assertive risk-taking and innovation” (Wikipedia). The problem is of course that corporates tend to be conservative and cautious, preferring well trodden paths to forging their own way. Not an approach that leaves a lot of room for an intrapreneur to explore, create and try new things out. The fact is is that there is something decisively uneasy about the relationship between the entrepreneur and the established enterprise. Speaking from an ex-employees perspective who went on to scratch my own entrepreneurial itch, there were several occasions in different companies when my entrepreneurial traits were suppressed, my initiative ignored and my proposed projects discarded. Of course I ended up leaving and working for myself. A company that has employees that go beyond the call of duty, employees that are inspired by opportunities to improve things and make a difference, need make sure these individuals are recognised, encouraged and supported. How can they do this? If the desire to encourage entrepreneurial behaviour is genuinely there, what are the practical obstacles that need to be overcome? What of the enterprise hierarchy, procedures, practices and mindsets that can often place handcuffs on the intrapreneur? What roles are involved in a productive entrepreneurial culture? How does a company go beyond recognising the value of the entrepreneurial spirit, to supporting and and encouraging individuals? How do companies help shape “raw” ideas of intrapreneurs into profitable business propositions? There are some very well known and successful brands among the enterprises that have made a conscious effort to make room for the intrapreneur and implement an entrepreneurial culture. One of the most well-known is the “Skunk Works” group at Lockheed Martin, often seen to be the predecessor of the R&D department. A skunkworks project often operates with a high degree of autonomy and unhampered by bureaucracy, tasked with working on advanced or secret projects. These projects are often undertaken in secret with the understanding that if the development is successful then the product will be designed later according to the usual process. “[3M, Google and Atlasssian] all give their employees spaces of time to work on what they are curious about. They have complete autonomy over how they work, who they work with and what they experiment with. Ironically, given this freedom, they tend to work on creative solutions that will benefit their company – a win win situation if ever there was one! What can we learn from these companies? How does a CEO begin encouraging intrapreneurship in a more conservative corporation? How do you, as a leader or learning professional, give employees this “licence to innovate”? Can there be any conditions on such a “licence”? I suspect that the more uncertain life becomes, the more effort organisations need to make to encourage and support the entrepreneurial spirit. If an individuals job is not secure, what greater risk is there in starting our on their own? Dare I suggest that the enterprise needs entrepreneurs much more than entrepreneurs need the enterprise?